Picking a good web hosting provider for your website is not easy as it should be, and if you are not sure where to start, and you do not know much about this, so it can seem pretty daunting and difficult to select. Whether you are looking a web hosting provider for the first time, or if you are simply unsatisfied with your existing web hosting service, you will need to find a hosting provider that will fulfill your website’s needs. To choose the best service for your website, there are several things that you should consider before selecting the web hosting service. If you are looking for web hosting service for your business website so it is more important to ask for reliability and uptime. These two things are of vital importance and something that you should be carefully considered. When your website is down so it can lose hundreds, even thousands of dollars. Uptime is basically a total time of the functioning of the web server. You should ask before selecting a web hosting company, which percentage of uptime it will provide you? All web hosting companies have historical data available, so you should determine that data and after that you select that company which is best. What happened? If you are stuck in any website issue or if your website show errors. And you try to solve them, but in the end you failed and you need a help. At that time, customer service will help you. Most of the web hosting companies will provide you customer service that is beneficial for your website. Sometimes people are willing to compromise this feature just because of lower cost service. I highly recommend you to select that one service which will provide you customer service. It includes pre sales questions, billing and technical support and more. Web hosting services are available in a wide range of prices, it depends on you, which service you select and which amount you can pay for your website. Mostly people make mistake in choosing a web hosting provider, they will only consider price and they make decisions on the basis of price. You should a best combination of price and features, not looks for only price and only features. Space and bandwidth are more important things in your hosting package. The amount of space depends on the number and size of files on your site. So before choosing you should ask for space, which amount of space it will provide to your site? Apart from the space, another thing we discuss in that factor is, Bandwidth. It is the amount of data transfer that occurs when people use your website. When your site faces more traffic, means the more bandwidth is used. 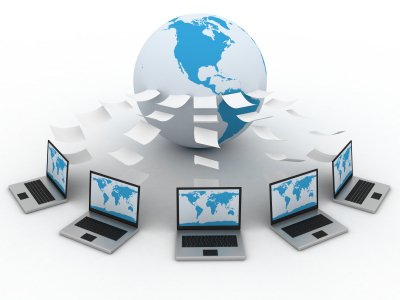 Ensure that your hosting provider will provide you enough bandwidth that will fulfill your website needs. Many hosting providers will offer that the traffic is unlimited means there is no limitation in bandwidth.